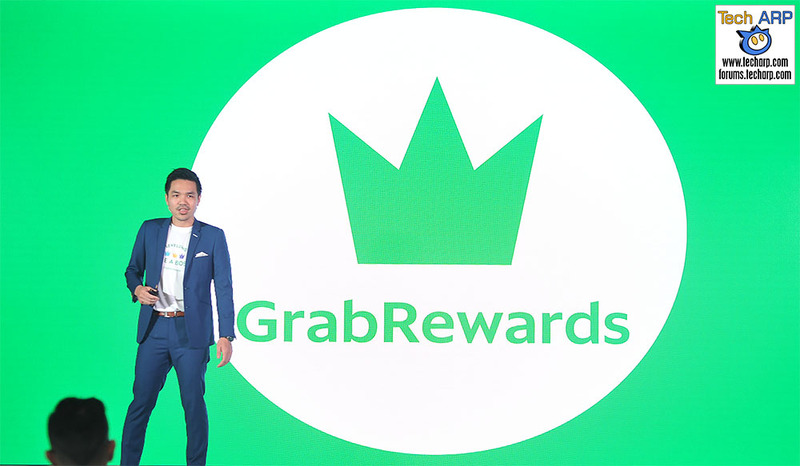 April 27, 2017 – Today, Grab Malaysia’s Country Head, Sean Goh officially launched GrabRewards, the region’s first-ever ride-hailing passenger loyalty programme as part of the Southeast Asia’s leading ride hailing and multiservice platform’s commitment to offer a holistic, seamless and rewarding Grab ride experience to its passengers. The official launched came after the beta version of the programme which was introduced in December 2016 received very positive and encouraging feedback from select users across the region. GrabRewards is designed to be a passenger-centric rewards programme which offers tiered benefits based on points accumulated by the passenger. The more frequent passengers book a ride with Grab, the more they will be rewarded with exciting varieties of deals ranging from discounted rides from Grab to exclusive promotions from Rewards Partners. GrabRewards enables all passengers across the region to start earning points on all Grab rides, with specifically GrabCar, GrabTaxi and GrabShare rides in Malaysia. Grab users will be placed in tiers based on their accumulated fare amount spent on all their rides with RM 1 spent equivaling to 1 point. Therefore, based on the total spent in the last six months, users will either be placed in Silver, Gold or Platinum, whilst new users will start at the Member tier. For rides paid by cash, members can earn five times the points, while those opting to pay via GrabPay, Grab’s cashless payment method, will earn 10 times more. Therefore, by taking more GrabPay rides, passengers can move upwards easily and conveniently in the tier ladder to Silver, Gold and eventually Platinum, which is for Grab’s most loyal users. This is in correlation with Grab’s effort to transform Southeast Asia from a cash-based economy to a cashless one. All members will be able to use their points to instantly redeem RM5, RM10 and RM15 off Grab rides (the redemption value from GrabRewards is up to 8.8% from a passenger’s total spent on Grab). In addition, they can also enjoy exclusive F&B, hospitality, lifestyle and retail brands, travel, and service-related apps deals offered by GrabRewards Partners such as Tesco, Happy Fresh, myBurgerLab, Forever 21, Flower Chimp, Zalora and dahmakan. Platinum Support Line – A dedicated hotline number built within the app to provide them immediate assistance. Exclusive Access – They will be able to get first-hand experience of any new features Grab introduces. Download the Grab App* from either Google Playstore or Apple Appstore. Key-in the respective pick-up and drop-off locations. Upon completion of ride, you can check your GrabRewards points collected. Tip: Register your debit*/credit card as a payment option in GrabPay to level up 10X faster! Previous : The ASUS Cerberus V2 Gaming Headset Announced! Next : The 2017 Sony BRAVIA TVs & AV Products Revealed!